An armed robbery in Bel Air had area schools on lockdown, the Bel Air Police Department said on its Facebook page. The Harford Bank at 505 S. Main St. was the target of the robbery. 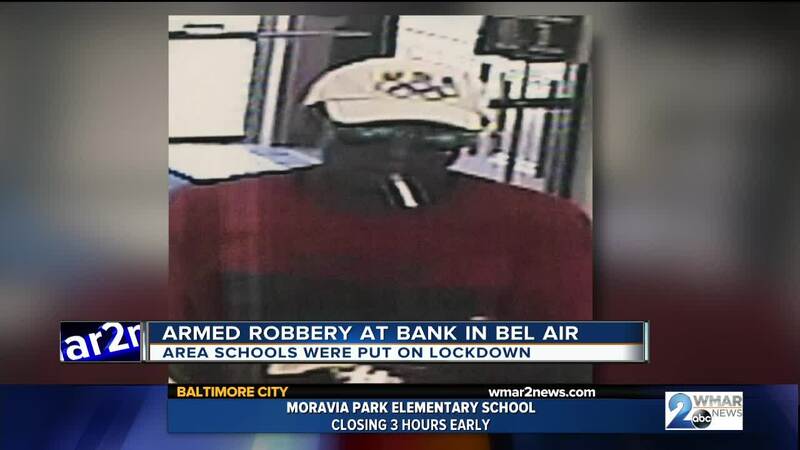 The bank is within a quarter-of-a-mile of Bel Air High School. All area local schools were put on lockdown following the robbery, police said. Travelers and residents were advised to stay clear of the area. A perimeter was established to search for the suspect. The owner of Birdsnest BBQ just a few blocks down the road got the call about his daughter's high school locking down because of the robbery. “My wife was calling she works at Towson so she wanted to make sure I was okay and that my daughter was okay. I was a little unnerved about that,” Owner Tim Brown said. The school reopened around noon when police secured the area. “School was very well in session at that time. It’s a very highly populated transient area. It did have us very concerned on the onset of just pedestrian flow and there’s a residential community right there,” said Bel Air Police Detective Corporal Matthew Gullion. Over at Alecraft Brewery the co-owner says he’s confident that police will catch the man responsible for disrupting this usually peaceful stretch of town. “We have a great Police Department they support us very well,” Owner Ken Roberson said. “This happens from time to time in any municipality in any town. We know within several minutes of this happening law enforcement was quickly here. They haven’t found the perpetrator yet but we’re certainly confident they're going to find him. The suspect robber is described as a black man in his late 40s or early 50s wearing a red shirt, khaki pants, and a black bookbag. He is approximately 6 feet tall and 160 pounds. He escaped the bank riding a bike with silver handlebars. 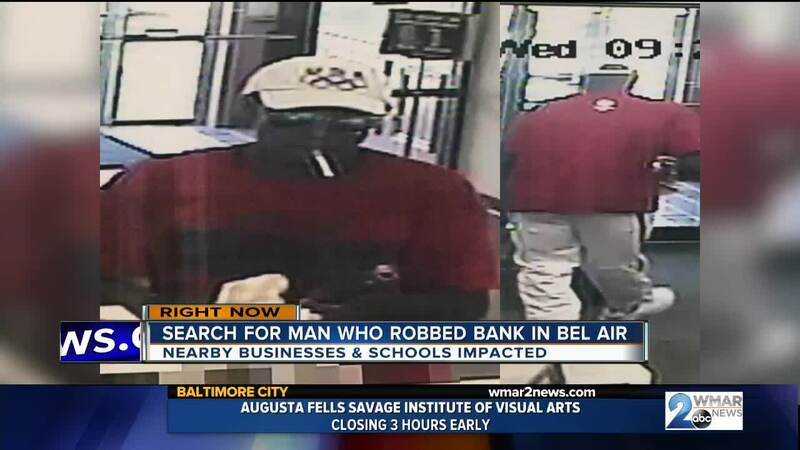 If you have pertinent information that would help police call 410-638-4500.